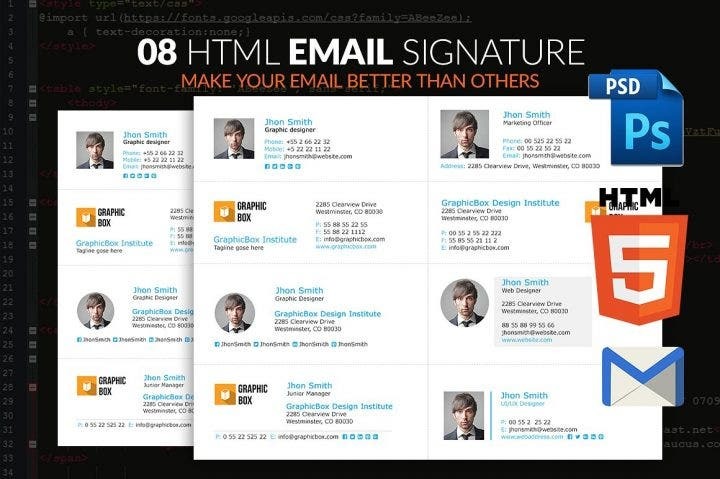 Email signatures are a unique way to present your portfolio to your client lists. But what is an email signature exactly? It is a block or portion located at the bottom of the email where details including your name, email address, business address, contact information, etc. are listed in a creative and attractive manner. Email signatures templates are commonly used in a business setting where individuals constantly send emails to other individuals in small-, medium-, and large-scale organizations to discuss matters such as sales pitches, investments, product or service details, and other business-related topics. The effectiveness of a responsive email signature is dependent on its visual appeal, as a beautifully designed signature doesn’t only benefit the individual but the company or organization he/she represents. Here are some formal and attractive business email signatures that can be used for different professions in different industries. Choose the best one that fits your profile or company. You can also edit these email signature templates to personalize them further. 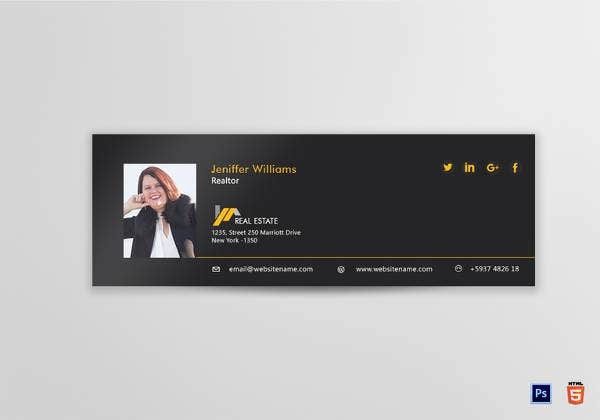 This realtor email signature template uses a black gradient texture background to complement the yellow and white text. The small image representing a house symbolizes the realtor position although you can edit the image for your own position or designation. You can also edit the text and embed your social media links in the signature. This template has a 79 x 272 pixel size while the format used for this template is HTML and Photoshop. This marketing manager formal email signature template is best used for different kinds and levels of managers. This email signature template is simple yet exudes professionalism. 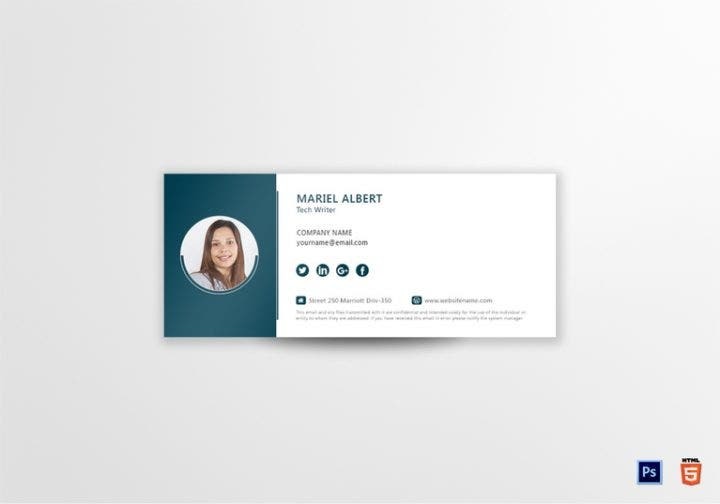 This template is appropriate for managers as they deal with a number of clients having different personalities, so it is better to stick with a more simplistic design. This template uses a white background with blue and black background used for the text. This template also has a 79 x 272 pixel size while the format used for this template is HTML and Photoshop. 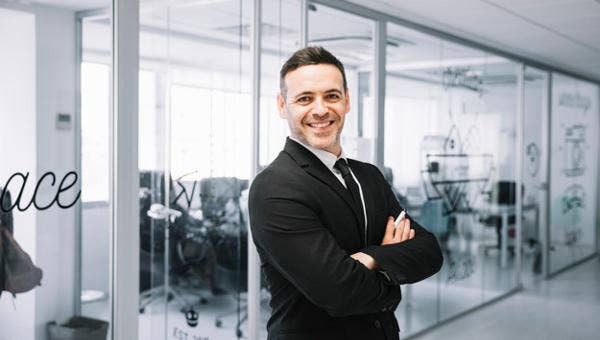 This is a managing director email signature template which is best used for the individuals in a company’s upper management (managing directors, third- or fourth-tier managers, business owners, CEOs, CFOs, CMOs, etc.). 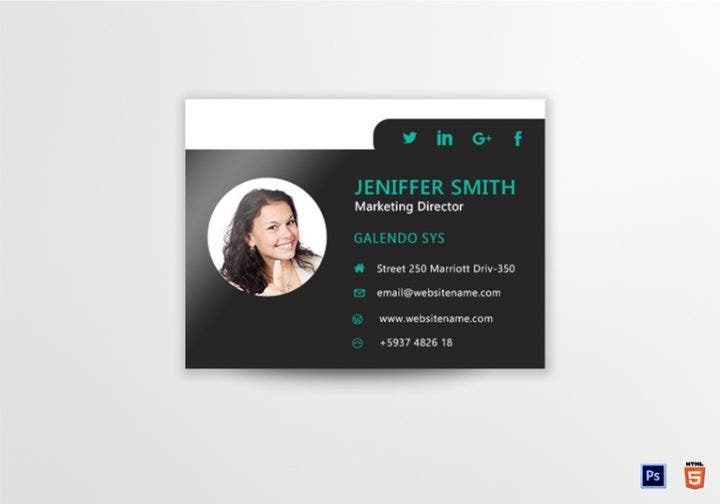 This is another template using a minimalist design which uses a three-color scheme (white for the background, blue for the borders, and black for the text). 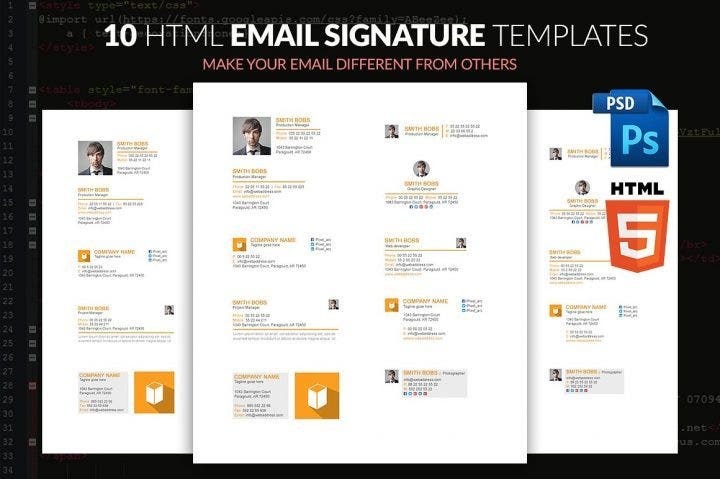 Similar to the previous email signature templates, a simpler design is needed for individuals in top-level positions. Playing it safe is better than playing it bold as some clients may be too sensitive to some designs which in turn will affect the company’s relationship with them. 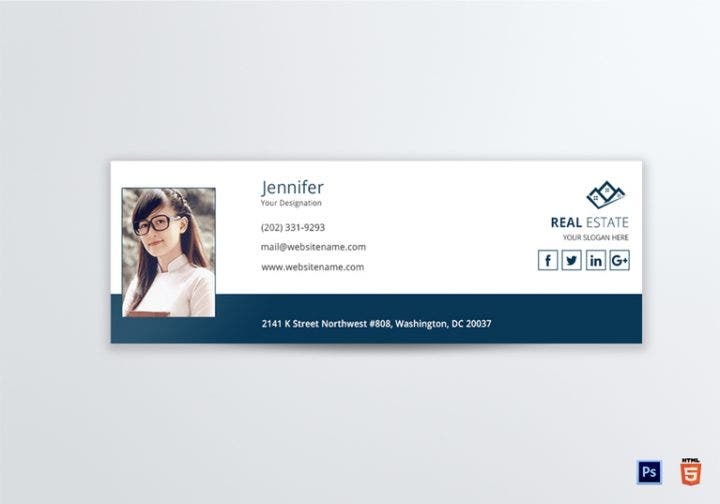 Here is another real estate email signature template to use if you are in the real estate business (either an agent, manager, or back-office administrator). 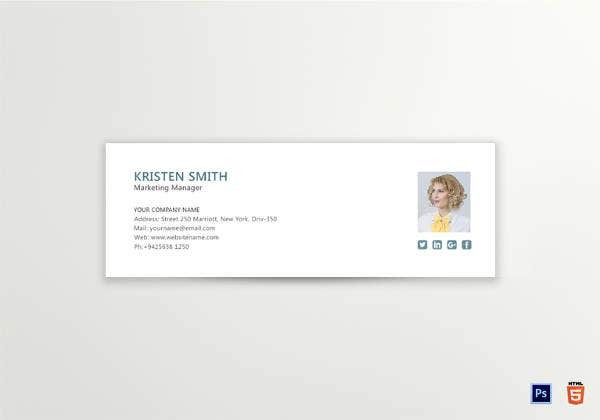 A white background to make space for the name, designation, contact number, and email address with a blue background is used for the business or home address. An image of a house is also inserted in the right hand of the template for added visual appeal. This template has a smaller size compared to the other templates having a 400 x 300 pixel size and uses HTML and Photoshop formats. 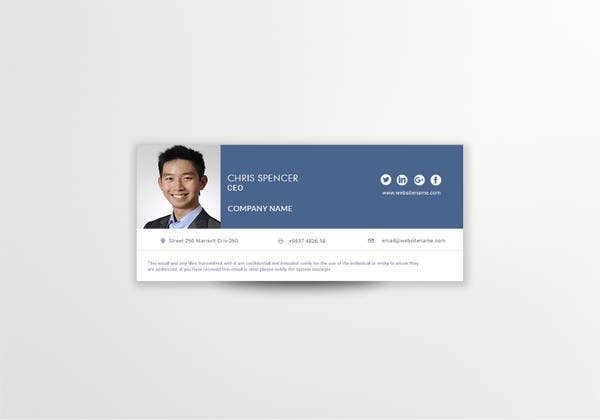 This CEO email signature template uses a blue-and-white combination and looks more attractive compared to the previous email signature templates. The blue background template takes most of the signature’s space where the name, designation, company address, and the social media pages are located. The business address, contact number, and email address are found meanwhile in the lower portion of the template. 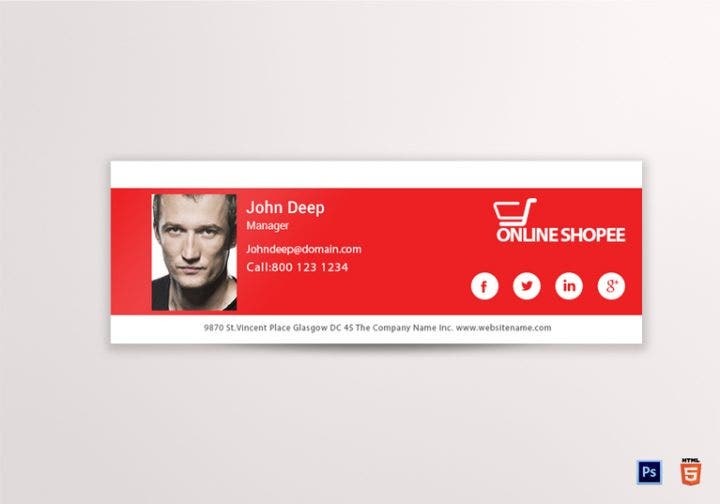 This template has a 600 x 250 pixel size and uses HTML and Photoshop formats. Here is a training institute email signature template that maximizes the use of the sky-blue color. Most of the text is written inside the sky-blue background. The photo is also incorporated into the sky-blue background designs. A sky-blue horizontal line is also added to the lower part of the template. Use this template if you are working for an institution that provides skills and other technical training for individuals. This email signature template has a 792 x 272 pixel size and uses HTML and Photoshop formats. This sample email signature template for a tech or outsourcing business also has a simple yet attractive design. You can use this for your own business or organization and insert the logo in the lower right-hand corner of the template. A bigger portion of the template is allotted for your photo which is more appropriate for email signatures. Similar to the other templates, you can insert or embed the links to your website or other social media pages. This email signature template has a 792 x 272 pixel size and uses HTML and Photoshop formats. Do you write for a living? Then this technical writer email signature template is the best template for you. 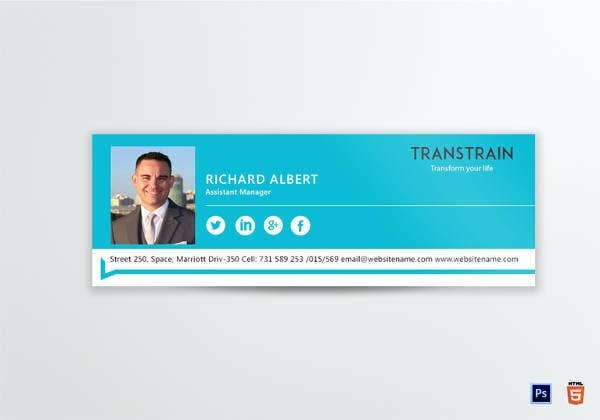 Compared to the other templates where the colors are divided into a horizontal format, this email signature template uses it the other way around in a vertical format. Your photo will have a dark background while the rest of the email signature details are listed on a white background. 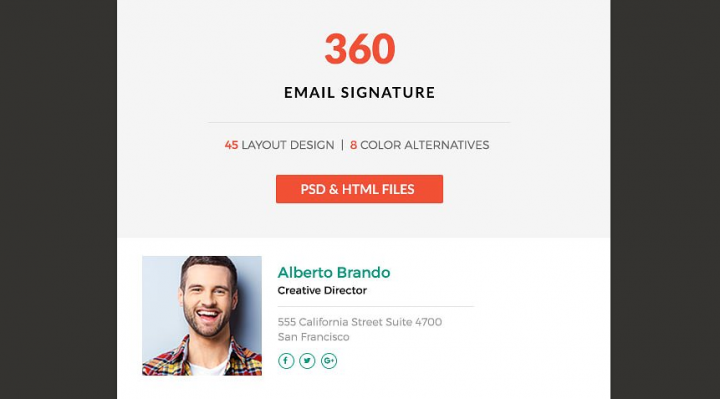 This email signature template has a 600 x 250 pixel size and uses HTML and Photoshop formats. This marketing director email signature template uses some nice black gradient and green text in its design. Black is a neutral color which can make designs bland and dull, but pair it with other designs and colors and it will look very attractive. The social media icons add to the aesthetic of this email signature template. 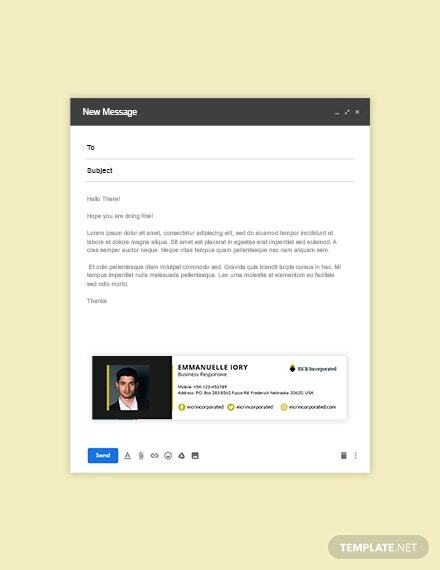 Compared to the other templates above, this email signature template only has a 400 x 300 pixel size and uses HTML and Photoshop formats. This sales manager email signature template uses some nice red gradient designs. 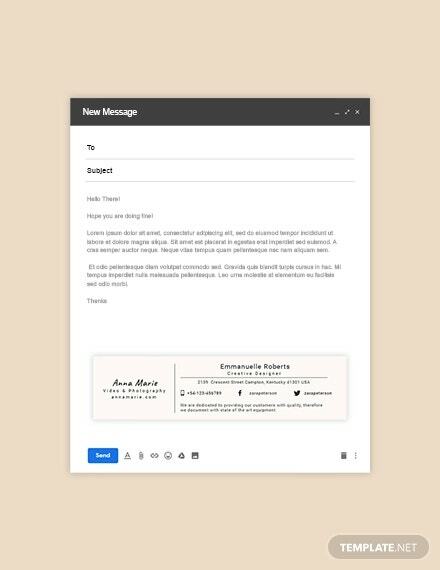 This is one of the more attractive email signature templates around the web and should be a priority template to be purchased for your business needs. All the template’s contents are written inside the red background including the photo, name, designation contact number, email address, company logo, and social media links. This email signature template has a 792 x 272 pixel size and uses HTML and Photoshop formats. 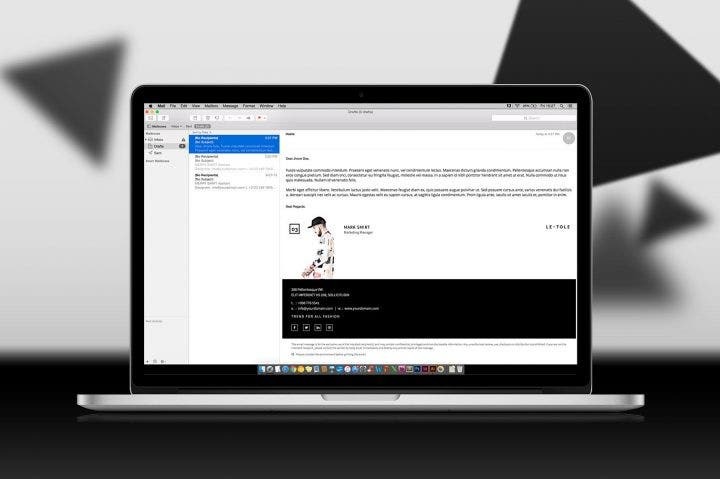 This black-and-white email signature template uses some classic color combinations. This signature comes with three color options and includes a PSD and HTML template, 22 design variations, 912 x 810 pixel size, full-wide design options, white space border design options, free Google fonts, easily customizable PSD templates, and a help file. This email signature template also uses a simple minimalist design and looks very professional. When you make this purchase, you will receive the email signature template, a PSD file with eight signature designs, a help file, and online loading icons. This email signature template pack contains numerous elements that you can use for your business needs. This contains free icons, multiple styles in 15 colors, 15 PSD files of 225 email signatures included, 225 HTML files, RGB colors, and free online storage icons. This template pack uses a flat and modern style and is also easy to edit and update. This is another email signature template pack which can be used for various purposes not only for yourself but also for your company. This contains free 360 e-signature variations, 360 html files, 360 PSD files, and color variants while being fully responsive to HTML. Take a look at this email signature template pack and impress your clients and colleagues. 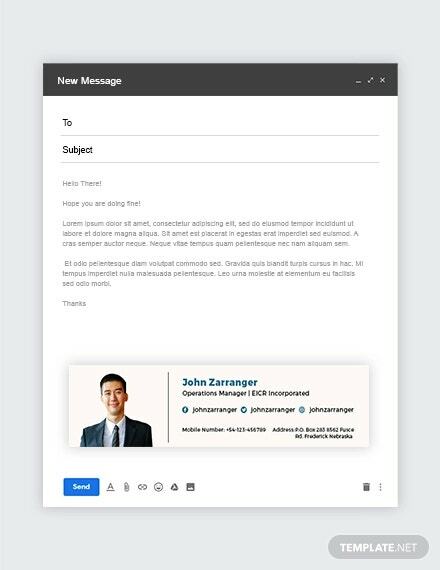 This email signature template pack contains 10 HTML email signature, one PSD file which includes 10 email signatures, online loading icons, and one help file. Before you decide to make a purchase from the email signature templates above or any template in general, make sure to follow these tips so that you can get a quality design and also get value for your money’s worth. Since email signatures are mostly used for business operations, they should maintain a professional look. Avoid the use of cartoon characters or symbols as it might affect your relationship with the boss or client. 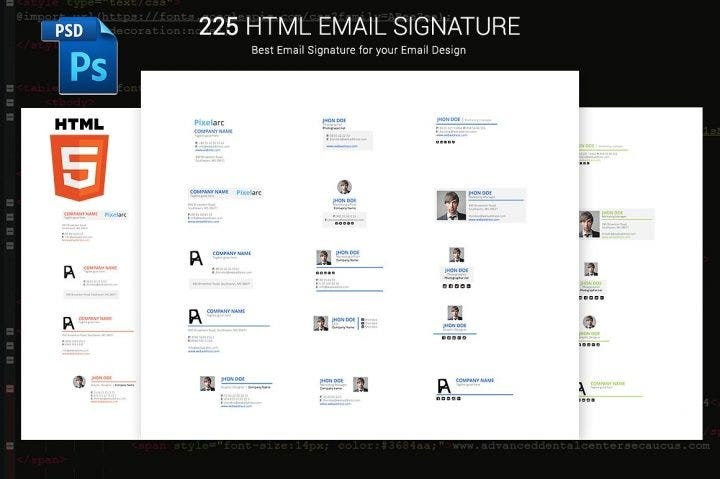 All of the email signature templates above have a simple design but still look very attractive. 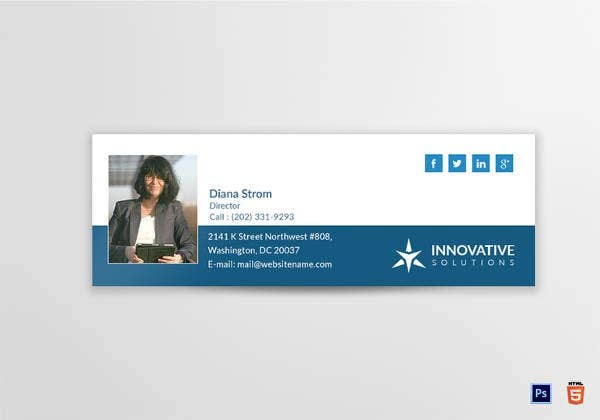 A two- or three-color scheme is enough for an email signature since the most important aspect of an email signature is the text (name, designation, contact number, email, and/or business address). Before you purchase any kind of template, check for customer reviews. This is where you can gauge if the product is legitimate and you can make a personal judgment if you want to proceed with the purchase proposal. The more positive the customer reviews, the better you will receive a quality design. Individuals who previously purchased the templates will most likely post pictures of the template, so don’t forget to check them out as well. 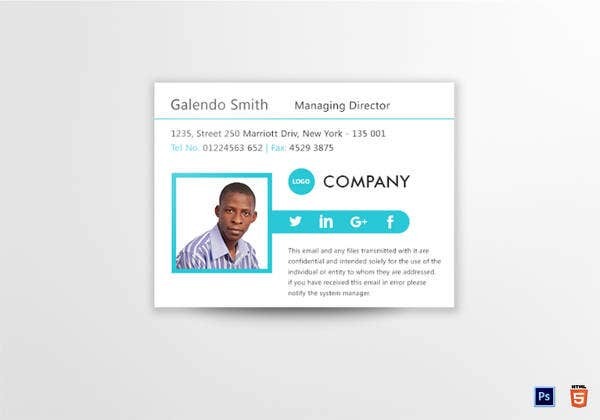 Not all online graphics shops allow customer reviews though, but you can always the check the designer’s profile and send him a message regarding the template you are interested in purchasing. Checking the designer’s previous works is another way to make sure you get your money’s worth and assure yourself you are getting a quality template. Check the designer’s current work if it is consistent with his other previous works. Most of the time, you don’t need to worry about experienced designers as their collection is all comprised of quality designs. When it comes to newer designers who just entered the graphic design business, send them a message if you are hesitant about purchasing from them so you can ask them a few questions to put your mind at ease. Not all attractive templates are affordable. Before you purchase any design or template, do a little searching and look around graphic online shops like Best Templates, Graphic River, Creative Market, Etsy, and Stock Layouts for some affordable templates. There are thousands of templates for various occasions and events so feel free to choose from the mentioned online shops. You don’t have to spend a fortune for purchasing templates especially email signatures. Use the funds instead for other business operating expenses. So there you go, some simple yet very attractive email signature templates you can use for yourself or your company. The templates cover multiple professions across multiple industries, so take your pick. But you can always edit these templates so they fit your own use.